Statcare Urgent Care, a chain of urgent care centers based around New York City, uses digital marketing (e.g., banner advertisements) to promote its services and differentiate its brand in a crowded marketplace. While its efforts have yielded good results, Statcare’s growth rate had begun to level off. 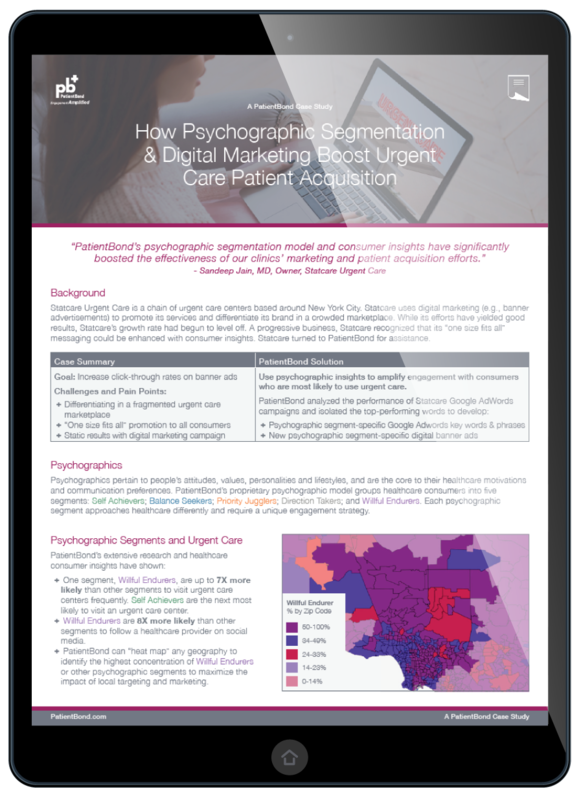 A progressive business, Statcare recognized that its “one size fits all” messaging could be enhanced with consumer insights and psychographic segmentation. Fill out the form to download a copy of the case study today.